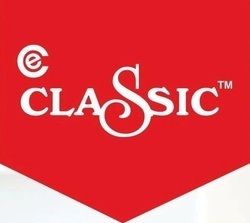 We, Classic Enterprise, were incorporated in the year 1990 as an eminent Manufacturer, Supplier and Exporter of a wide range Kitchen-ware & House-ware Products such as Kitchen Cutter, Kitchenware Items, Sev Sancha etc.. We are highly reputed in the market, and are considered among the market leaders. Our range of products is highly innovative and efficient, which has helped us garner a huge client base including various reputed companies. Our infrastructure is built as per the international standards and is equipped with the required modern machinery. We have highly advanced machines are technologies at our manufacturing unit that helps us in providing high quality products in a limited period of time. Our products, post production, are go through number of quality tests before being dispatched to the clients’ premises. Our mentor, ‘Mr. Rohit Patel’, constantly motivates the team to acquire higher level of clients’ satisfaction. 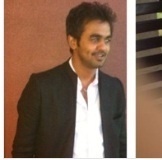 His profound knowledge and experience of this domain enable us to develop a vast clientele all across the globe. 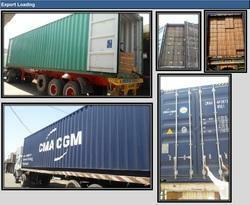 We export our products in Middle East, United State and United Kingdom. We, at Classic Industries/ Classic Enterprises, have a team of highly experienced and trained professionals who work in unity to achieve the goals of the organization. 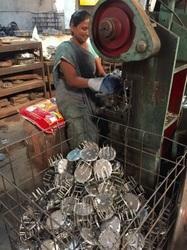 Our team implements various ways to improve the production process, quality control and supplying process. Our team involves experienced professionals, quality experts, sales and marketing executives and administrators. 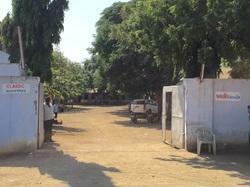 Self, Rohit Patel Proprioter of Classic Enterprise, Stationed at Rajkot, Gujarat. 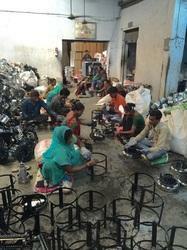 India, we are Manufcturer Exporter of Kitchenware Products made of SS, MS, Brass, Aluminum & Plastic Based in India. About Self : Honest, Hard Working, Soft Spoken, Reliable and Trust Worthy. * International Marketing i.e. searching new clients & reviewing old ones. * Promoting our products in new regions in various countries. * Over viewing other departments like Pre & Post Documentation & Logistics. * Monitoring New Product Launches & various product updates within the industry. We wish to introduce ourself as a manufacture & exporter of Kitchenware & Housewares products. - SS Cutlery & Knives etc. We are proud of the state-of-the-art infrastructure structure, we have. At Classic Enterprise, we have a number of advanced machinery and facilities that help our team of experts to achieve the goals of the organization. Our best-in-class infrastructure facility includes segregated units including a high tech manufacturing unit, the quality control department, a sales and marketing division and an administrative wing. Classic Enterprise (Industries) has evolved as a reputed organization for Manufacturing, Supplying & Exporters of Brass & SS Sev Sancha, Cast Iron & SS Puri Press & Brass & SS Khalbatta throughout Indian Sub Continent since 1990. The Products offered offered by us are ideal to be used on daily basis and are known by the patterns of their splendid finishing, perfect poise, resistance against stains and attractive look. Our offered range finds its wide applications in various homes, hotels, restaurants, food outlets for cooking as well as serving various purposes. All this products are designs using quality material like Stainless Steel & Mild Steel which is procured from reliable vendors. Also the unique & eye catching designs and shapes of our product range an edge over others. 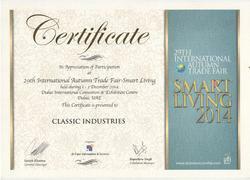 Thus this help us to cater the requirement of various industries like home supplies and food serving effectively. 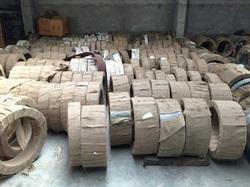 Our Warehouse to Store Raw Material to ensure timely delivery by keeping Stock Of Required Material. 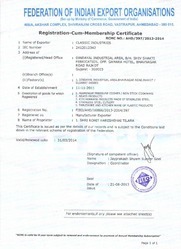 We are Members of FEERATION OF INDIAN EXPORTERS ORGANISATION. 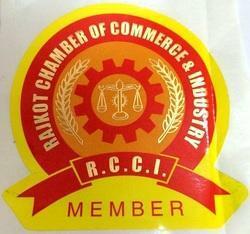 Member of Rajkot Chamber of commerce and industry.